BCS Robotics Club at Barnes & Noble Maker Faire this weekend 11am-4pm Sat and Sun! 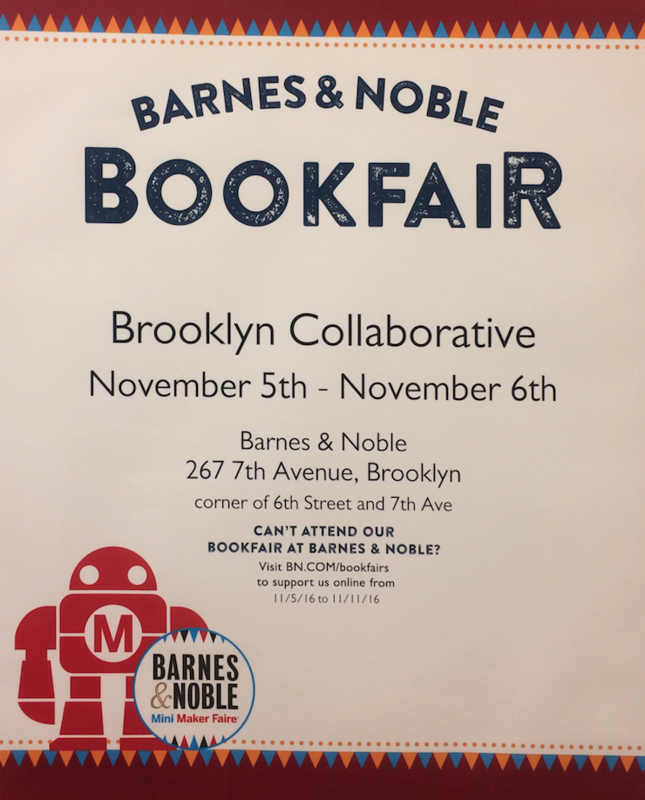 Brooklyn Collaborative's Robotics Club, The RoboSharks, will be at the Barnes & Noble in Park Slope (267 7th Ave, Brooklyn) this weekend (Sat 11/5 & Sun 11/6) from 11am-4pm. Not sure what some of these are? Come to Barnes & Noble and ask Brooklyn Collaborative students! 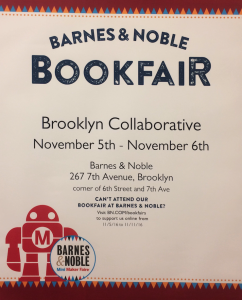 Brooklyn Collaborative will also get 15%-20% of your sales at the store that day so make sure you pick up a new book or a Makerfaire toy while you are there! SEE YOU AT BARNES & NOBLE!!! Previous post ← NEW middle school info session added 11/14. Sign up before it fills!